I HAVE A NEW ACCOUNT! 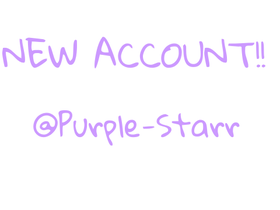 @Purple-Starr FOLLOW ME THERE! !